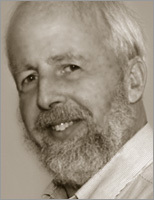 Stanley Selkow received a BS in Electrical Engineering from Carnegie Institute of Technology in 1965, and then a Ph.D. in the same area from the University of Pennsylvania in 1970. From 1968 to 1970 he was in the Public Health Service at the National Institutes of Health at Bethesda Maryland. Since 1970 he has been on faculties at universities in Montreal, Knoxville TN and Worcester MA, as well as Chonqing, Lausanne and Paris. His major research has been in graph theory and algorithm design.